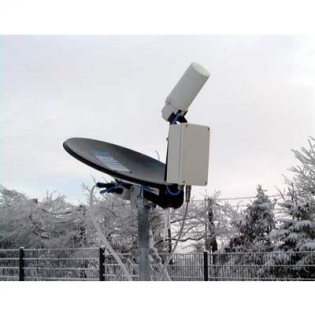 The Micro Rain Radar (MRR) is a vertical pointing microwave profiler for the measurement of rain rate, liquid water content and drop size distribution from near ground to several hundred metres. The unique and innovative Micro Rain Radar (MRR) is a small, portable and easy to operate. It can be used for now-casting of precipitation i.e., it will detect the start of rain from ground level to high above the radar several minutes before the start of rain at ground level. It is a highly reliable system suitable for use in remote and extreme environments, requiring minimal maintenance and is well adapted for long term unattended operation. Statistically stable drop size distributions can be derived within a few seconds due to the size of the scattering volume. The Micro Rain Radar (MRR) can detect very small amounts of precipitation (below the threshold of conventional rain gauges) detecting drop sizes between 0.25 mm and 4.53 mm. This covers the size range of atmospheric precipitation drops as larger drops in the atmosphere are affected by the air resistance as they fall and will split into smaller drops. The droplet number concentration in each drop-diameter bin is derived from the backscatter intensity in each corresponding frequency bin. In this procedure the relation between terminal falling velocity and drop size is exploited. and export it to other applications for viewing, publication and storage etc. The MRR is supplied with a comprehensive software package for instrument control, data logging and visualisation. The customer / end user is liable for the acquisition of the frequency permission and the operation of the MRR system for the region of use. Biral can provide guidance to users in acquiring permission.